New pre-trainer formula with the optimum combination of creatine, BCAA´s, glutamine, NO precursors and stimulants. Xpand 2x is the new version of Xpand by Dymatize and is making quite an impact in the sport nutrition sector. Greater muscle endurance thanks to the inclusion of a new generation of muscle aminos: CADENA SOL™ (BCAA Instantized) and Sustamine™ (dipeptide glutamine), that delivers 2:1:1 of BCAAs with a new level of super-solubility. Provides cognitive support and increases mental focus. Xpnad 2X includes an active blend with Quercetin, N-acetyl tyrosine and group B vitamins. MYO-Xpand Blend: Includes micronized creatine to boost muscle volume and supply ATP energy to the cells. It provides a dose of Creatinol-o-phosphate and CarnoSyn ® its function is to promote high intramuscular concentrations of carnosine, a small molecule consisting of the amino acids histidine and alanine. Carnosine acts as a plugging agent, helping keep the muscle within optimum pH range, thereby delaying the onset of muscle fatigue. ENDURO-Xpand: Provides a dose of 2:1:1 of BCAA´s responsible for stimulating the synthesis of muscle proteins to promote muscle development. They also promote the loss of visceral fat located in the deepest layers of the body and which tends to be resistant to diet and difficult to shift. In being a mix of ultra-micronized BCAAs they easily dissolve in cold water in a matter of minutes. 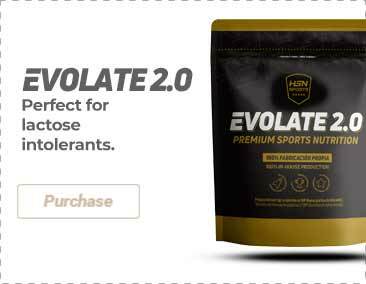 Includes Sustamine TM which provides glutamine and l-alanine. Glutamine is the most common amino acid found in the muscles  over 61% of the skeletal muscle is glutamine. Glutamine consists of 19% nitrogen, the main transporter of nitrogen in the muscle cells. Glutamine plays a key role in the metabolism of protein and is both cell-volumizing and anti-catabolic. Glutamine also increases the capacity for secreting human growth hormone, which helps to metabolize body fat and favours muscle growth. L-alanine is often added to nutritional sports products to improve aerobic exercise, and recovery from high intensity exercises. It also supplies a dose of Taurine, a powerful neurotransmitter relating to the capture of glucose. In addition it is the base component of biliary acids used to absorb fats and vitamins in digestion. VASO-Xspand (Muscle pump matrix): This blend contains agmatine or decarboxylated arginine, which means it is a derivate of the amino acid arginine. Agmatine takes an active part in polyamine channels and has been studied for its impact on nitric oxide and support for wellbeing and cognition. Agmatine can stimulate the production of nitric oxide (NO) through various means and is becoming a very popular ingredient in pre-trainer supplements. At the same time, it contains the Nitro2Granit tm formula (extract of pomegranate rich in nitrate) to improve tolerance to exercise and AssuriTEATM from green tea. FOCUS-Xpand: This blend seeks to improve mental focus, increase energy and improve the state of alertness. Glucuronolactone is a natural glucose metabolite and it regulates the formation of glycogen. Studies have proven its effectiveness in the improvement of energy, the reduction of somnolence and improved state of alertness and reaction. It also provides N-acetyl tyrosine and anhydrous caffeine in optimal quantities to increase physical endurance and the cognitive function. Rhodolia Rosea is deemed to be an adaptogen, which means that it corrects imbalances in the body, as a consequence of mental or physical tension. QRS Complex: Based on quercetin, this compound improves physical endurance, promotes recovery and improves concentration and mental focus. Xpand 2X by Dymatize allows you to personalise the amount per serving depending on your muscle size, experience with the product and the workout. For example, you may vary your workouts and one day do cardio exercises and another day do an intense session with weights. Your workout may be first thing in the morning or last thing at night. With XPAND 2X™ you can set the ideal quantity for you and your workout. As with any supplement, particularly when it includes ingredients that provide energy and focus, it is best to evaluate your tolerance, beginning with the lowest recommended amount, until you find the dose that is best for you. For maximum performance :1 tablespoon (10g): Users who take Xpand 2x for the first time (to evaluate tolerance); 2 tablespoons (20 g): experienced users who are tolerant; 3 tablespoons (30 g): advanced users with high tolerance.Mix 150-180 ml of water with each ladle. To obtain optimal results, take at least 30 minutes before your workout.